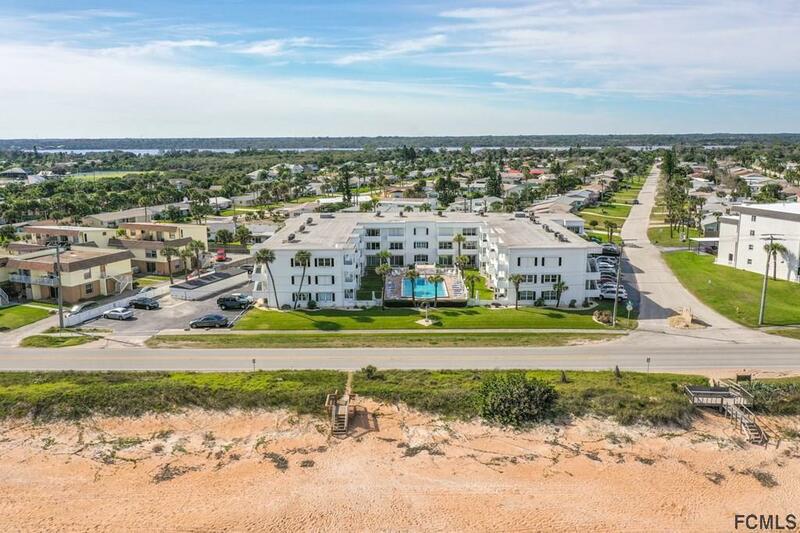 Direct Oceanfront Boutique Condo w/ only 36 units on the Atlantic Ocean in Ormond Beach. 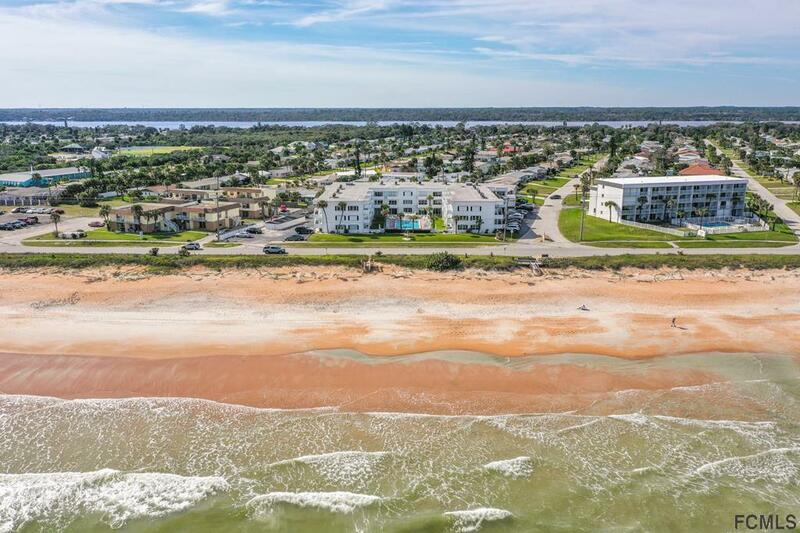 Centrally located to enjoy all Ormond Beach has to offer & short ocean drive north to Flagler Beach. 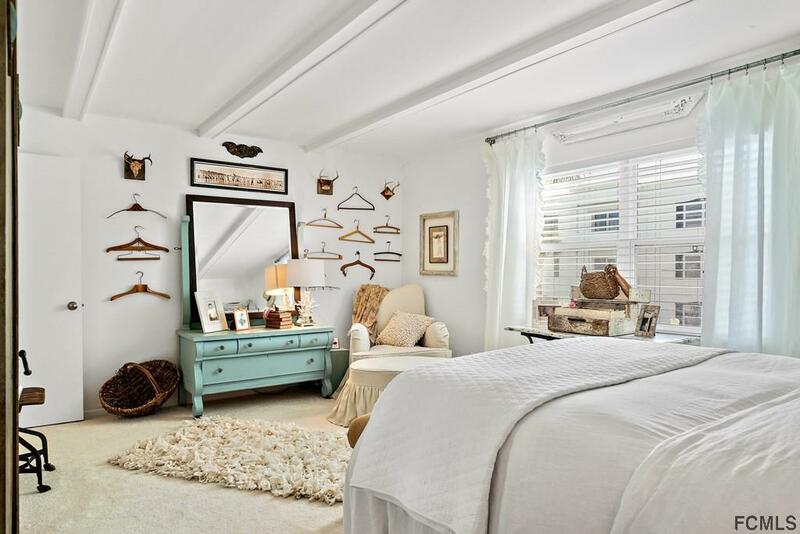 Corner unit 203 has been 100% renovated from top to bottom by its artistic decorator owner. There are spacious ocean views from every room with ample natural sunlight throughout giving the home a calming & tranquil feeling. 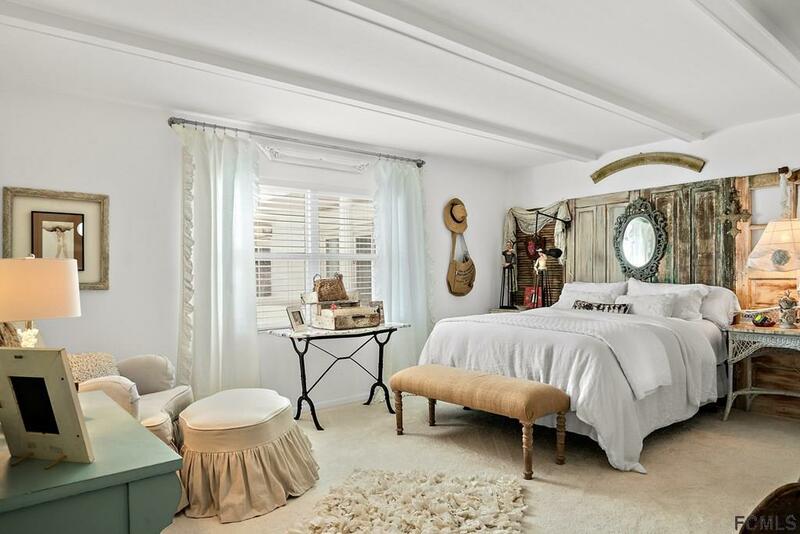 The entire home is tastefully decorated w/ whimsical charm. Real Bamboo flooring throughout with Level 5 plush carpeting in the 2 large bedrooms both with walk-in closets. Imaginative and creative lighting, Shiplap walls and Art Deco ceilings, top quality faucets & fixtures, designer cabinetry all w/ Solid Surface counters. The more you look the more you'll see and fall in love. Countless hours have been invested. Enjoy peaceful days and evenings on the patio gazing at the Ocean, Beach and Abundant Wildlife in the air & sea. Don't forget to take a dip the private pool. Listing courtesy of Michael S. Andrews of Trademark Realty Group Llc.